The Vulture mine began in 1863 when Henry Wickenburg, a prospector from California's gold rush, discovered a quartz outcropping containing gold. Shortly after the mine was established a small mining town was developed. It was called Vulture City. The town once had a population of several thousand citizens with such amenities as a brothel, mess hall, and post office. The desert surrounding the Vulture Mine did not give much in the way of produce, so an enterprising individual by the name of Jack Swilling went into the Phoenix Valley and reopened the irrigation canals left by the native peoples. Agriculture was brought back to the valley, and a grain route was established. This grain route still exists today under the name of Grand Avenue. Phoenix, Arizona, grew up around the agricultural center spawned by the needs of the Vulture Mine. 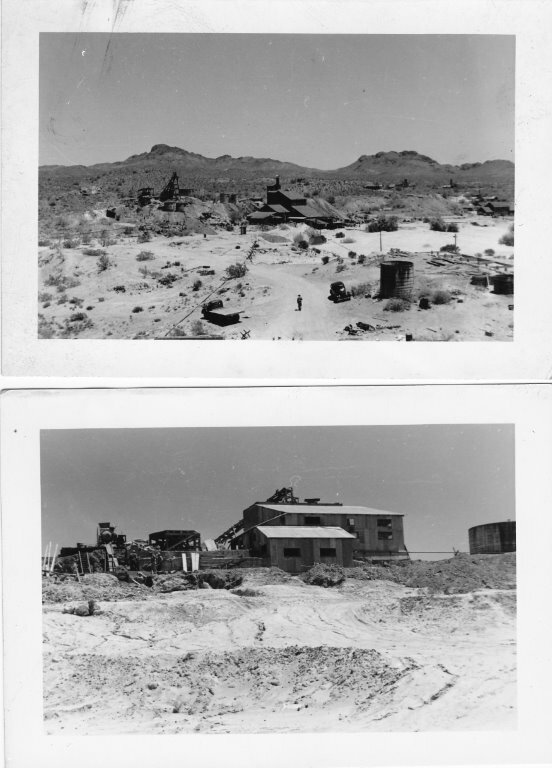 In 1942, the Vulture Mine was shut down by a regulatory agency for processing gold. This was a violation at the time because all resources were to be focused on the war effort. The mine appealed the shut-down order and reopened, but with less vigor. A few years later, the mine closed for an extended period. The mine is in operation once again on a separate property but is not open to the public.